Devin Townsend is an enigma in the musical world. Every note he plays, every track he releases sends your mind on an intergalactic journey. With 24 albums already under his belt (including Strapping Young Lad and his other projects), Townsend has embarked on another musical adventure with Empath. The result? 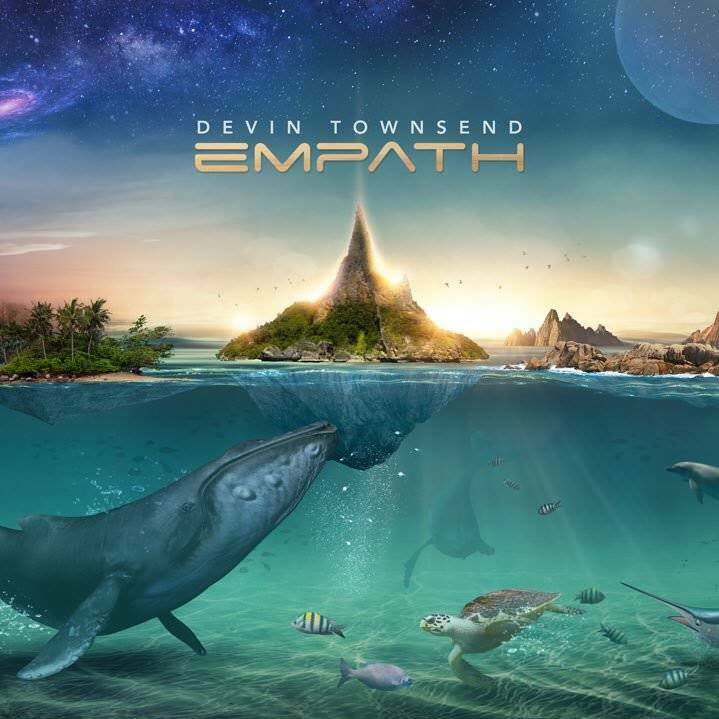 A cinematic soundscape, a healthy dose of what-the-fuckery-is-going-on-here and an array of musical talent to help Townsend realize his creative vision, Empath comes out of the gates with a statement: Music is a tool and Devin Townsend can do whatever the hell he likes. The scale of this album is monumental, with guest stars from Chad Kroeger (vocals on “Hear Me”) to Steve Vai, Townsend was able to achieve more from a personal creative standpoint than the constraints of DTP. “Castaway” kicks the album off, a sweet lullaby with Townsend’s guitar floating over a heavenly choir. Track two, “Genesis,” sends your brain into a frenzy. Death metal blast beats? Check. Disco rhythms? Double check. And that’s all in the same song! What’s also interesting to note is the fact that Townsend utilizes not one, not two, but three drummers over the whole record to apply their craft for whatever Townsend’s mind is busy conducting. He chose Morgan Ågren (Mats And Morgan, Frank Zappa, Fredrik Thordendal) for the improvisational, quiet and jazz portions of the album. Anup Sastry (Monuments, Periphery) for the prog metal pieces, and Samus Paulicelli (Decrepit Birth, Abigail Williams) for the full metal sections. Along with the accompaniment of Nathan Navarro (Bass) and Mike Keneally (providing additional guitars and keyboards), Townsend’s vision is brought to life. “Spirits Will Collide” is one of the most beautiful compositions out there, laying heavy riffs over an orchestra of whistles and the unmatched choir that appears throughout the album. Thematically, “Evermore” and “Sprite” follow up, and the scopes that the song achieves scales to cinematic level, creating scenes in your mind as you daydream to the soundtrack. Big riffs, every note lingering in the air and every word rests lightly with the atmosphere that’s been captured to a tee. Then Empath gets dark. “Hear Me” is a drastic, haunting song littered with extreme metal elements peppered with electronic and choral flourishes that help to capture the intensity and the drastic essence the song carries for six and a half minutes, while making sure it’s easily the heaviest song on the album. The album settles down towards the end, but just because it’s an unfamiliar listen doesn’t mean it’s not definitely Devin Townsend. The last three songs are the Townsend’s opus’, including the 11 minute “Borderlands,” a song that demands your attention each and every single second to the 23 minute (you read that right!) “Singularity,” which not only brings the album full circle but also contains a few surprises we won’t spoil. “Singularity” is beautiful, it’s an assault on the senses, it brings you up then hurls you to places deemed unfathomable. You can claim Empath is for perfectionists, or say it’s Townsend trying too hard to be unique and different, but as soon as the first notes of “Castaway” echo then you’re taken to a whole new level, a whole new dimension of sound and quality. Townsend not only nails the utilization of the musicians at his disposal to the sound or the cinematic atmosphere meticulously captured, but his range and understanding of music and song is second to none. Devin Townsend hasn’t just raised expectations, but with Empath, Townsend has shattered each and every one.